Formerly known as "the best un-recorded band out there"
The Ellen Lease/Pat Moriarty Quintet has been called “the best un-recorded band out there”….until now. “Chance, Love, Logic” is the initial release by these veterans of the Free Jazz scene who have been honing their ensemble skills, developing their repertoire, and thrilling club and concert audiences in the Minneapolis area for more than a decade. Award-winning composers Ellen Lease and Pat Moriarty contribute strong, highly colored works to the bands repertoire. From the soaring, dream-like lines of “Chance, Love, Logic” to the wide-angle post-bop energy of “Orange” to the pretzel logic of “Phrenology” to the spiritual stasis of “The Cloisters”, the quintet deftly mines both the literal and intuitive implications of these compositions. This is a band that believes in continuity. Lease and Moriarty have collaborated on many projects since the early 80’s; the newest member of the group joined in 2003. Through the consistency of personnel and a stable but expanding repertoire the quintet has developed a high level of group interplay and risk-taking within the structures of the tunes. Although comparisons to the musics of Steve Lacy, Charles Mingus, and the Art Ensemble of Chicago are well taken, this band definitely has its own sound and conception. While some might claim that Jazz has only one true locus these days, anyone who reads these pages with any consistency will note that amazing music can be found all over the globe. While hardly known as a Jazz metropolis, Minneapolis, like most major metropolitan U.S. cities, has its own scene. Surely one of its most vibrant ensembles is the Ellen Lease/Pat Moriarity Quintet. Despite being musical partners since the early '80s, Lease and Moriarity make their recording debut on Chance Love Logic. After initial absorption of the nine tracks, one has to wonder what the heck took them so long to memorialize their talents. From the firs notes, it is evident that there is an incredibly joyous sense of the love of interaction and music-making no matter the tempo or difficulty in execution. Though there are obvious influences, whther they be avant boppers (like Monk), the AACM, or clasically inspired avant Jazz, the ability of this group to jump over, around and through many stylistic hoops in a distinctive fashion is a delight. A cunning Monk tribute, “A Round With Sphere,” hits out of the gate, with its whimsical, peppery groove-making, though it is all Lease here, with her brilliant technical skills on full display. The ensemble is splendid with the Moriarity/Rossum front line proving vivacious and spunky on “Phoebe,” a bright, loping groove that sug- gests Roscoe Mitchell’s “Song For My Sister” or the swings-with-sass of “Orange” and the shuffling punch of “Liner,” a feature not only for Moriarity, but also the Bates/Stanoch team. Speaking of Bates, he proves his vitality on the murky “Chance, Love, Logic” with his urgent lines pushing the ensemble, particularly Lease, who concur- rently tosses off frenetic runs and romantic whisps. As for another vital member of the ensemble, almost every line Rossum touches is inspiring, particularly on “Sudden Deep Green Of Summer,” with its tagline being, “when winter lasts until summer begins” (certainly a meteorological feat known to many in the Upper Midwest), a moving composition that calls upon Rossum’s vibrant acrobatics. For the group’s most demanding moments, look no further than the Braxtonian-like “Phrenology,” with the opening stomp meeting intensified improv. While surely under the radar, Chance, Love, Logic, is just the kind of disc one unexpectedly stumbles on every once in awhile that renews one’s faith in the music. For Lease and Moriarity, they better get to it pronto, as they have a lot of lost time to make up for. 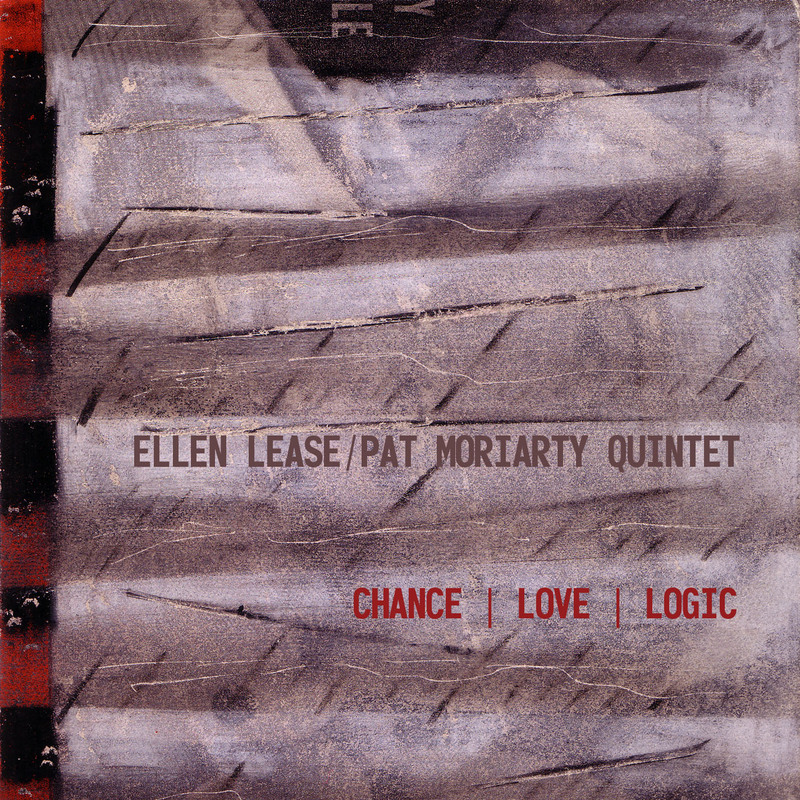 One of Minnesota's best and longest-lived jazz ensembles, the thoroughly modern Ellen Lease/Pat Moriarty Quintet finally gets CD exposure on the compelling "Chance/Love/Logic" on Innova. The fare is quite wide-ranging. The punchy "A Round With Sphere" celebrates Thelonious Monk with swagger. The expansive and exotic postbop ballad "Phoebe" pays lovely tribute to trombonist Homer Lambrecht. The bracingly avant "Phrenology" bombards brains in fun fashion, while "The Cloisters" is pensive and prayerlike. And the swinging, funky "Orange" is reminiscent of when Jackie McLean and Ornette Coleman got together. Trumpet firebrand Kelly Rossum, bass wiz Chris Bates and rambunctious drummer Dave Stanoch (of Triplicate) complete a lineup that's potent and purposeful.